Veteran Hebron resident and right-wing activist Baruch Marzel offers a unique service to callers. He is setting up a telephone tefilla service which includes “Push 1 for a Yeshua”, which includes tefilos at the kever of Dr. Baruch Goldstein. Goldstein, who became aware of an Arab plot to slaughter the Jews of Hebron opened fire on Muslim worshipers in the Machpelah on Purim 1994, killing 29. According to the Walla News report, organizers explain that they are offering their services for callers seeking brachos, which in this case includes tefilos at Goldstein’s kever, telling callers that the kever of a tzaddik brings yeshuos to many (קברו של הצדיק מביאה לישועות רבות). Yeshuos include parnasa, a shidduch, a refuah, and success in a court case, promising “Jews who are Yirei Shomayim” will be mispallel on one’s behalf. Marzel is quoted explaining that so many mispallalim arrive at the kever, he decided to assist those who cannot make the trip. In response to the report, Meretz leader MK Zahava Gal-On stated “I do not wish to address the necrophilia of the settlers. The worship surrounding the kever of murderer Goldstein, who massacred innocent people, only serves as proof that his racist hashkafa sprouts roots”. Previous articleWho Will the Chareidim Back in the Israel Presidential Race? Goldstein is a rotzeach. Not only did he murder 29 Arabs, but as a direct result of his actions the Arabs in retaliation for the incident in the days immediately after murdered about 5 Jews in response, whose blood is on Goldstein’s hands. NONSENSE #1, Read the info preceding the self-defense of Goldstein against Arab murderers. It is always with more sechel to leave the judgement to Hakodosh Baruch Who, in that way there are no agendas or neigiahs. Shame on YWN for promoting this evil. Goldstein was a mass murderer and should be denigrated as such. The only reason I would ever go to his kever would be to spit on it. to the Editor: I’m sorry. I am no where near being a radical right wing activist. However, in the case of Baruch Goldstein, z”l I feel your addition to the title of the article “[Who Murdered 29 Arabs]” is highly inappropriate. Baruch Goldstein’s actions was highly debated at the time. I remember residents of Kiryat Arba telling me that for a week prior the Arabs were chanting “Death to the Jews” and made it very clear that they were attempting to start a pogrom. Although, his taking actions into his own hand is a point of debate, the results are clear. No one in Kiryat Arba was killed and the attempted pogrom was canceled. Although I, for the most part, feel he should not have taken things into his own hands and don’t agree with those who glorify him, non-the-less to insinuate that he was a murder I feel is outright wrong and highly inappropriate. I would ask you to remove it, but I have yet to see the editors remove anything that they post. So instead I would request the allowance to have others express whether they agree with me or not on this issue. We will never know why he did what he did. He was a respected Dr in Chevron who cared for both Jews & Arabs. I was in Israel at the time and remember the day well. It was a Purim Meshulash – Apparently at the time there was info that he had been given being a Dr in Town that the Arabs where preparing to launch a Pogrom from the Mosque …. The Mosque also happened to be full of Machine Guns …. הבא להרגך … Don’t be so quick to judge. He may have prevented the murder of dozen of yidden. Boruch Goldstein was a tzaddik who gave his life to save all Chevron residents. He was a doctor who served arabs and Jews alike. After being informed by the Israeli Government to prepare his facilities for the many wounded who were expected the following day, he went to the place that the terrorists were organizing and destroyed their plot, knowing he will get killed in the process. Many come to pray at his kever which is considered a holy place to people from all walks of life. chachom – where exactly do you get your information to base your claim of “rotzeach” from? What you’ve heard about him from a left-leaning secular media? Everyone who knew Dr Goldstein personally said he was an incredibly beautiful person and a great doctor dedicated to saving lives who left his life in CHU”L to devote himself to serving the people and land of Israel. No small amount of opinions state that he helped prevent a massacre on the Jewish community of Hevron that was planned to take place. And if he is responsible for 5 Jews that were killed in retaliation, then oy v’voy to the founders of the state of Israel whose independence declaration led to the arab armies attacking and killing 600,000 Jews. #1 chachom, bite your tongue. With your evil and twisted mind you would probably blame Jews of Warsaw Ghetto who resisted Nazis in last desperate attempt to defend themselves for the holocaust. What “Chachom” appears to be saying is: If Goldstein had not killed the 29 Arabs, they would have killed hundreds of Jews, and then nobody but HaShem would know that Goldstein would have been to blame for knowing about a massacre and doing nothing about it. But now that he did kill the 29 Arabs and instead of hundreds dead, only 5 died, we can put the blame on Goldstein, even if HaShem might credit him with saving hundreds-5. this is the שיטה of the ציונים and of their representative N. Bennett. do what you want as long as you have a so called “Jewish state”, even if your actions may not be in line with the torah. Now I do not know the real story of Dr. Baruch Goldstein, there are many versions of the story including that the IDF set him up, which would go even further showing the true colors of the IDF. Please stop printing right wing propaganda as if it is truth. Goldstein randomly murdered innocent civilians. He opened fire and killed whomever was in his line of fire. He is a rotzeach and a rasha. Would be nice if MKs from Agudah, Degel and Shas would openly condemn this. 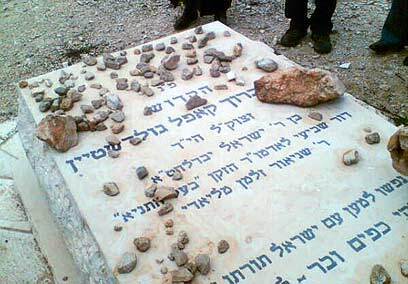 Why does anyone believe the Motzi shem ra of the Zionists that Goldstein murdered any of those Arabs? How do you know they’re not lying about this? Nobody saw Goldstein do it despite the Zionists’ claim that he did. As I recall, that same media admitted that Goldstein himself treated both Jews and Arabs in his practice. You are publicly condemning a Jew based solely on reports in Zionist media, which is very foolish. #1- He was not a rotzeach nor a tzaddik. He was a physician who snapped because of the fact that he had personally seen and treated way too many victims of arab terror attacks. Don’t judge if you do not know all the facts. Either do so or be man enough to apologize. It was never proven that he shot & killed 29 Arabs. He was there at the time & may have been set-up & had the gun placed in his hands. He was the only Jew in that area at the time. No arab can be believed at all. Do some research before you call someone a murderer. I spent time in Kiryat Arba & realized that there may be a whole different story than what we heard out there. Baruch Goldstien was a real Tzaddik & real precious individual! 2. There is no doubt that 5 Jews were murdered in retaliation to the Goldstein murders. 3. Those five Jews blood is on Goldstein’s murderous hands. 4. Him having “snapped” does not excuse his despicable murderous actions any more than Levi Aron having snapped excuses his murder of Leiby. 5. There is no reason to believe his murders stopped the Arabs from other murders. They wouldn’t stop a murder because some single Jew murdered a few random of them first. Au contraire; they murdered Jews in response to his murder of Arabs. And even had their been truth that he was trying to stop murders, he had no right on his own initiative to make that assumption and then take deadly action in his hands that would result in the murder of innocent Jews. 6. Yes, the founding of the State and the other wars were inexcusable due to it causing Jewish deaths. Same with the Warsaw Uprising; it accomplished nothing more than inciting the Nazis to kill out the entire ghetto right then and there. YUP, SURE, OF COURSE, the Nazis were planning a welcoming party for all Jews hiding in sewers and empty buildings and serving them a catered dinner as soon as they could. WOW,,there’s a bridge to be sold for a BUCK, interested, Chachom? chachom, why don’t you make all Jew-haters of the world happy and jump from Brooklyn Bridge? I am sure some fault could be found in your existence too. Interesting that the dopiest comments come from a guy who calls himself chachom. Clearly, you read my post #17. Clearly, you cannot provide evidence of an statements of mine that are anti-Torah. Clearly, motzei shem rah is not an issue to you. And this is your definition of being Torah observant? #19: Because making Jew-haters happy is the last thing I’d do. #18: The ghetto uprising caused them to immediately murder out all the inhabitants. Chachom – apparently you are either not old enough to know, weren’t here (in Israel), or both. It was extremely clear to all of us that lived here at that time that Goldstein’s radical actions were based on the knowledge that the Arabs of Chevron were planning a pogrom on the Jews of Kiryat Arba. His actions did indeed prevent the imminent intended pogrom. I could go into details, but I’ll leave it at that. Argue the point and you’ll just make yourself look stupid. The point is mute and is non-discussable. You can question whether he did the right thing, but all arguments have already been placed on the board 20 years ago. Ain Davar Chadash Tachas HaShemesh. charliehall – either you did not learn in Yeshiva or did not use your time wisely. Spitting is something that is below the dignity of a Ben Torah. I have never seen a Ben Torah spit at anyone. Even if he thought he was doing it to prevent an Arab attack, he still had no right as his actions had the potential to — and in fact did — cause Arabs to retaliate and murder Jews. At best he needed to ask a major shaila before taking this into his own hands. At the end he did cause Jews to be murdered in retaliation. You all have peanut size brains with the memory of a chicken, you all forget that Arabs murdered Jews before, during and after Baruch Goldstein. You are probably all descendants of Erav Rav that during Purim times blamed Mordechai on Homan’s plans to wipe-out all the Jews. You are all not different from secular Israeli elitists who blame Holocaust on charedy Polish Jews of 1930s. The rest of your comment is not within our rights to judge. Only Hashem knows what other outcomes could have happened under other circumstances. If you would know that by killing 29 Arabs he saved over a 1000 deaths, would you still say “he” is the one responsible for the deaths of 5 Jews? MoisheInGolus – your words are too strong and unfair. I would assume that those that are antagonistic about Baruch Goldstein z’l either are focusing on the deaths of those murdered by Arab “murderers” and are blaming him or they are influenced by the Liberal media of that time. They are not “Erav Rav”, they are just “mistaken”. To call them “Erav Rav” means that you do not understand the essence of what the Erav Rav are. I find it very telling that the people speaking out against Baruch Goldstien z”l, live in cushy America, with no real idea how Israel works. The Arabs dont value life, they place a much higher value on Martyrdom, and because they know that we value life, they want to kill as many Jews as possible. Abbas said it best “Palestine will be free of Jews”. To all those that think that we could live in Israel under Arab rule, you are kidding yourselves. So if you would like to vacation from your nice American suburban life, and visit places like the Kosel and Maaras Hamachpela, it is only possible because of “Right wing Zionists” you love to trash. Oy! Cushy America! 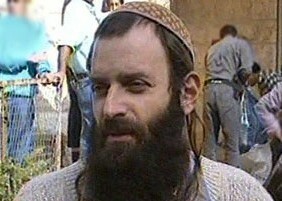 I’ll never forget what it was like to live in England after Baruch Goldstein’s shooting spree. The Brits were seething… You could feel it in the air. Lets face it. This Galus is sickening wherever we are.